This new development scheme consists of the first phase of the relocation and re-development of Southam United Football & Bowls Club. 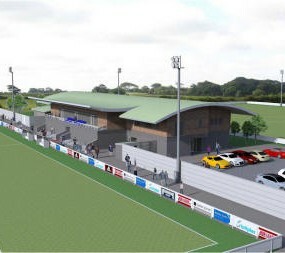 The new club facilities include the provision of new and improved playing facilities, entertainment facilities and all associated external works. The new build club will be built in a combination of traditional masonry and framed construction. Facilities include: New floodlit pitch, community hub, bowling green and club house.